The Rheem RLX series is for areas which experience frost or snow and perhaps have less than reliable water quality, the Rheem RLX Series solar hot water system is the only choice. It uses the highly efficient heat transferring properties of a special anti-freeze fluid, Glycol to transfer the absorbed energy to heat the water indirectly. With an ‘indirect system’ water does not pass though the collector panels, instead the Glycol mixture is circulated from the collectors through a jacket which is wrapped around the storage tank, transferring the heat into the water. The benefit of this ‘indirect’ heat exchange process is that the system can be used confidently in frost areas, without risking damage to the system; it offers protection against freeze damage in conditions of up to minus 18 degrees Celsius. The new modern design of the RLX Series 2 solar hot water system was designed and manufactured right here in Australia for our harsh Australian conditions, not only will it compliment any homes roof and save you immediately on your homes energy costs, it offers you peace of mind knowing it has been developed for our tough climate. There will be days during the year when your solar hot water system doesn’t receive sufficient energy from the sun to provide all the hot water you need. Rheem gives you the option to have either an in tank electric element booster or gas in-line continuous flow boosting unit. The choice is yours; ask your local Rheem Solar Specialist dealer which option would be best suited to you. The advantages of the Rheem Premier Solar Split Systems are two fold, and both can be seen in the above picture. Firstly; the stylish, slim-line design of the solar panels minimises the visual impact. Secondly, the ground mounted family sized storage tanks provide flexibility of installation options. All this while saving heaps of your household water heating costs. There will be days during the year when your solar system doesn’t receive sufficient energy from the sun to provide all the hot water you need. Rheem gives you the option to have either an in tank electric element booster or gas in-line continuous flow boosting unit. The choice is yours; ask your local Rheem Solar Specialist which option would be best suited to you. Depending on your requirements and location you have the choice of two proven high performing collector panels. If for example, your home is situated in a temperate or tropical zone, the Rheem Premier lo-line collector is for you. If however, you live in a cooler climate, or, have heavier hot water usage, then the Titan Series 2 collector may be more suitable. Your local Edwards dealer will recommend which model will perform best for your requirements. For areas that experience frost or snow and perhaps have less than reliable water quality, the Edwards GTS Series 2 system is the only choice. Being an “indirect” system it uses the highly efficient heat-transferring properties of a Glycol mixture to transfer the absorbed energy to heat the water indirectly. The benefit of this “indirect” heat exchange process is that the system can be used confidently in frost areas, without risking damage to the system. Innovation and new technology go hand-in-hand with the remarkable Rheem Heat Pump. It’s like a solar water heater without collector panels. In fact it operates like a refrigerator only in reverse; transferring the heat in the surrounding air to the stored water. The Rheem range of Heat Pump’s use of refrigeration technology makes it extremely energy efficient - comparable to a solar water heater but without the need for collector panels - using approximately one third the energy of a conventional electric water heater. 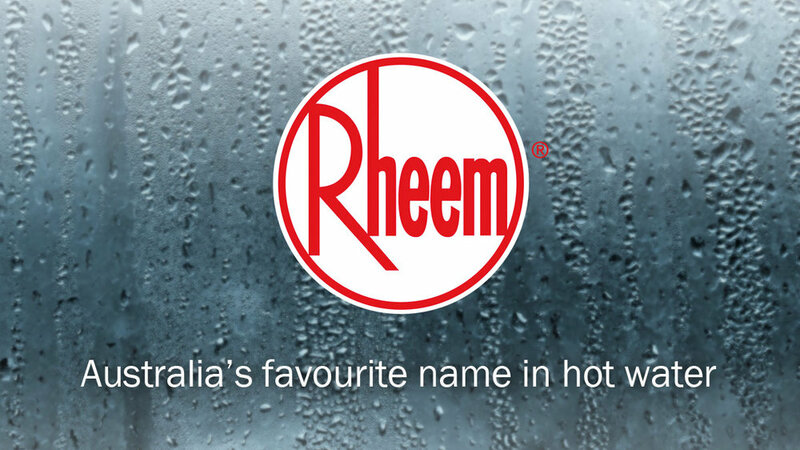 The Rheem range of Heat Pump’s stylish design is sleek, modern and unobtrusive. Whilst the Heat Pump is more effective in warmer climates, it is equipped with an electric booster to provide a continuous supply of hot water in the cooler conditions. It will provide you with mains pressure at multiple taps in your home and plenty of hot water for the whole family all year around. The ceramic-lined storage tank and manufacturer’s warranty provide peace of mind.